Gwalior, situated in Madhya Pradesh, has been a cultural and historical epicenter for many ages. Many Emperors, Kings, and Queens have left their mark on the city in one way or the other. Apart from them, many revered saints and sages also made the city their home from time to time. In fact, the city is named after a famous hermit-saint Gwalipa. Another such saint who is associated with Gwalior’s cultural heritage is Muhammad Ghaus Shattari. Shah Sultan Haji Hameed Mohammed Ghouse/Gwauth Gwaliori Shattari aka Muhammad Ghaus was the 16th Century musician and Sufi Saint of Shattari Order. He was held in high esteem by 3 Mughal emperors: Babur, Humayun, and Akbar. Muhammad Ghaus played an instrumental part in Babur’s conquest of Gwalior fort in 1526. 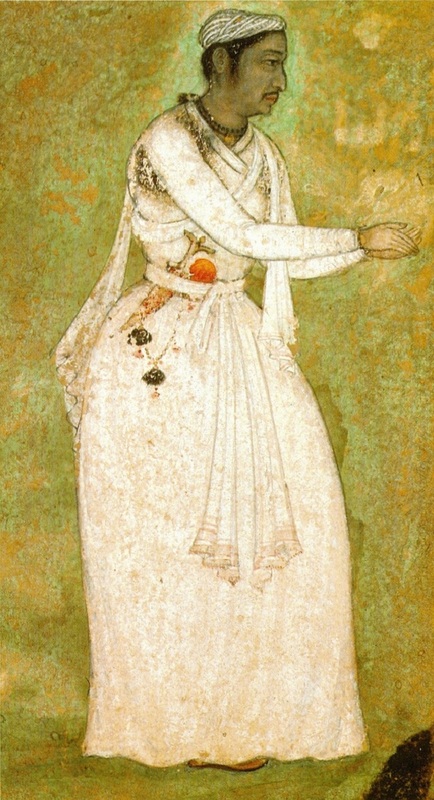 The saint suggested tactics to Mughal Army chiefs to establish their presence in the city and provided privileged information to them which eventually enabled them to plan a secret night attack to capture the fort. Muhammad Ghaus was also Humayun’s teacher. Humayun had a special interest in occult sciences. This helped Muhammad in securing a favorable position in Mughal court. Although, this soon changed due to the dethroning of Humayun by Sher Shah Suri in 1540. Muhhammad Ghaus fled to Gujarat in the fear of his capture by the Afghan forces. Once Mughal regime came back to its full glory under Akbar’s leadership, he returned to Gwalior. Sometime after his death in 1563, a grand and spectacular mausoleum was created here. After assisting Babur in conquering Gwalior Fort, Muhammad Ghaus was granted a substantial area of land where he created a hospice. This place became a hub for people with artistic and creative interests. Many singers and artists received patronage and support from Muhammad Ghaus to pursue their passion. One such student was Ramtanu Misra, more popularly known as Sangeet Samrat Tansen, who eventually became one of the Nine Jewels [Navratnas] in Emperor Akbar’s court. Tansen’s initial music training was under Swami Haridas. Later on, he became connected with Muhammad Ghaus, which brought Sufi influence in his music. Muhammad Ghaus’ tomb, built sometime after his death in 1563 during Akbar’s rule, is one of the fine specimens of early Mughal architecture. One can easily notice an influence of Indian architecture, specifically from Gujarat and Rajasthan, which eventually evolved into Indo-Muslim architecture. The main building is square in plan topped with a large central dome which was originally covered in blue glazed tiles. Although, nothing of those brilliant ceramic tiles remains anymore. The most notable and stunning feature of the structure is the intricately carved perforated stone screens. These beautiful and detailed walls covered in geometric patterns form the exterior layer of a continuous verandah surrounding the central chamber of the tomb. These patterns also helped in creating a cool and ambient atmosphere by filtering light and air into the main tomb chamber. The places where Sufi saints are buried are considered very holy. Sometimes, disciples and people close to the saint are also buried in the same area. Similar to other other Sufi shrines across India, there are several named and unnamed graves surrounding Muhammad Ghaus’ Tomb. If you are lucky enough, you can even spot some devotees humming a tune or two in the honor of the saint. The next time you are in Gwalior, apart from admiring the grandeur of Tomars and Scindias, make a visit to this lesser-known gem of Mughal era.